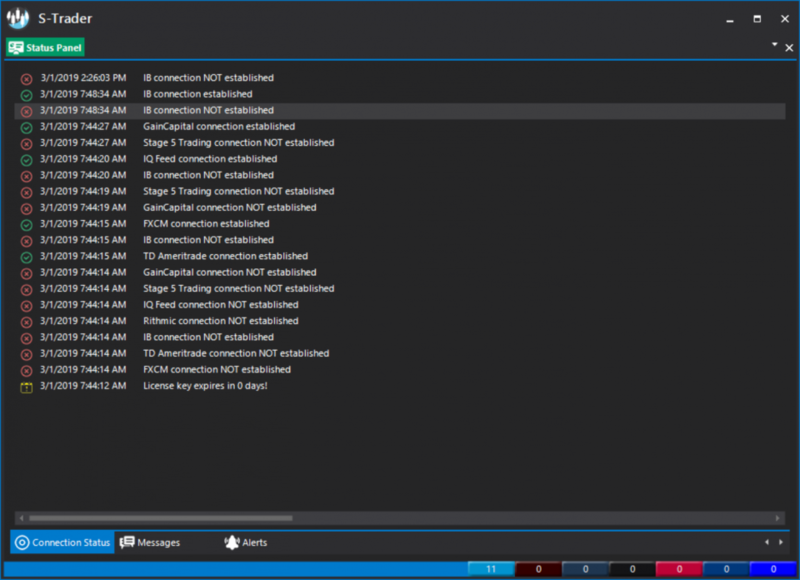 Monitor connections, tasks and overall performance. 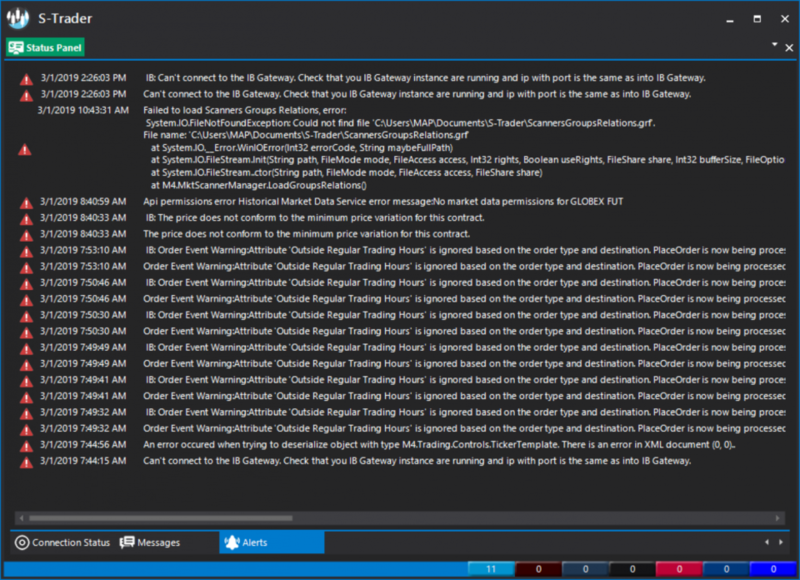 Receive critical alerts regarding application modules, data or order routing connectivity. The first of three tabs in the status panel is the Connection Status tab. This monitors the timing of connections and connection time outs or drop outs. 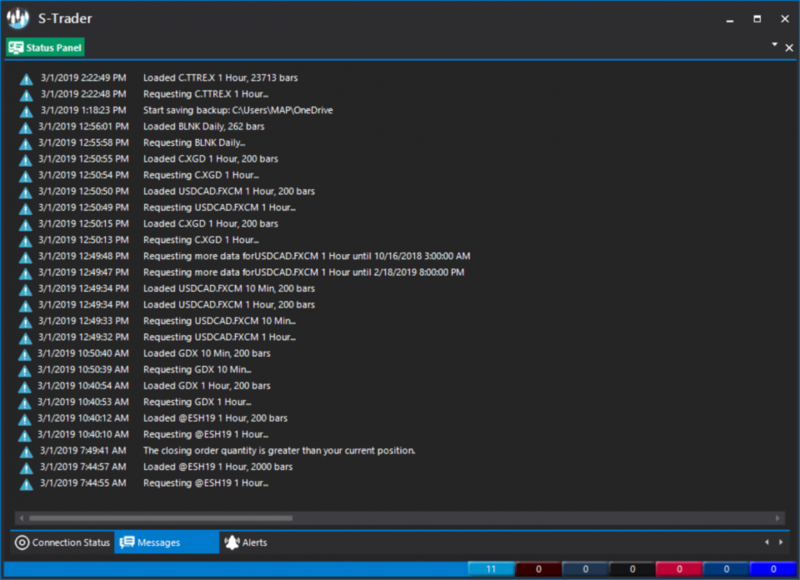 The messages tab keeps track of all tasks demanded from and queued / performed by the S-Trader desktop platform during the current login session. Each task is recorded with the appropriate stamp. The alerts tab keeps track of problems encountered and issues faced during the current login session. The items generally pertain to data permission issues or system malfunctions and are recorded with the appropriate time stamp.